In a low scoring defensive showdown, the Georgia Bulldogs (12-8, 3-5) stumbled in the closing stretch against the Kansas State Wildcats (16-5, 5-3) to lose their fifth game in the last six matchups. With 6:11 left in the game and a 49-44 lead, Georgia was held to only two points as the wildcats put together a 12-2 run to win the game at home. The only Georgia basket during this time frame came by way of a putback from Derek Ogbeide with 33 seconds remaining. Senior forward Yante Maten led the bulldogs in points (14) but was double teamed for the most part of the second half, shutting down the Georgia offense. Kansas State forward Dean Wade outplayed Maten in the final stretch, ultimately deciding the game as he hit a jumper with 1:46 to go to give the wildcats a 52-49 lead. Wade finished with 20 points and 8 rebounds, leading his team in both categories. Although down 26-23 at the half, Georgia started the second half hot but eventually went cold as Kansas State made crucial adjustments. Despite the poor offensive performance, the Georgia defense played exceptional as usual, holding the wildcats to a poor 38.3 field goal percentage. 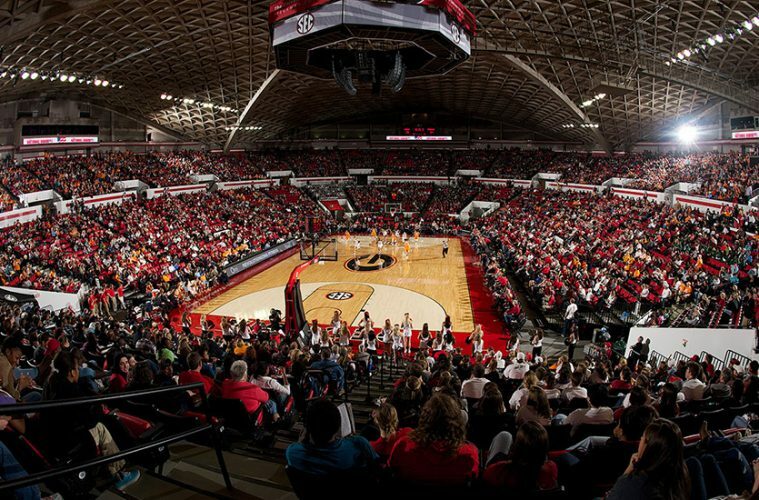 Looking to avoid losing a fourth straight, Georgia takes on SEC rival Florida at home on Jan. 30 at Stegemen Coliseum.